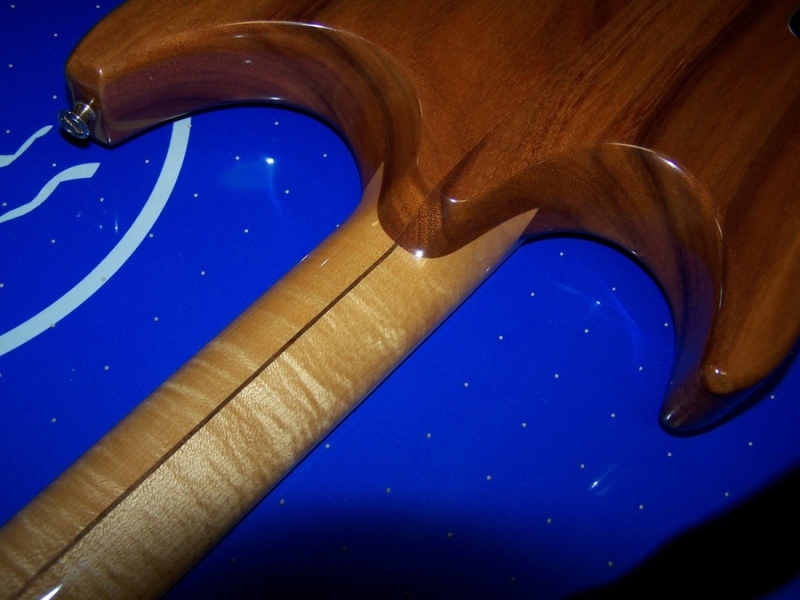 The guitar itself is made from Hawaiian Koa with a very fine Tiger-striped maple neck. It sports a bound ebony board and peghead. The scale length is 25 1/2". All hardware is Gold. 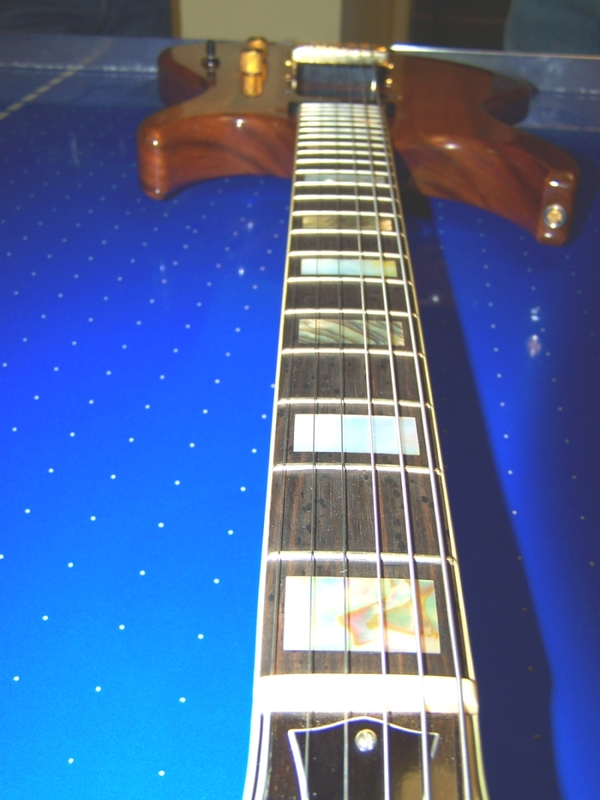 The inlay is alternating Abalone and rare colored Pearl. 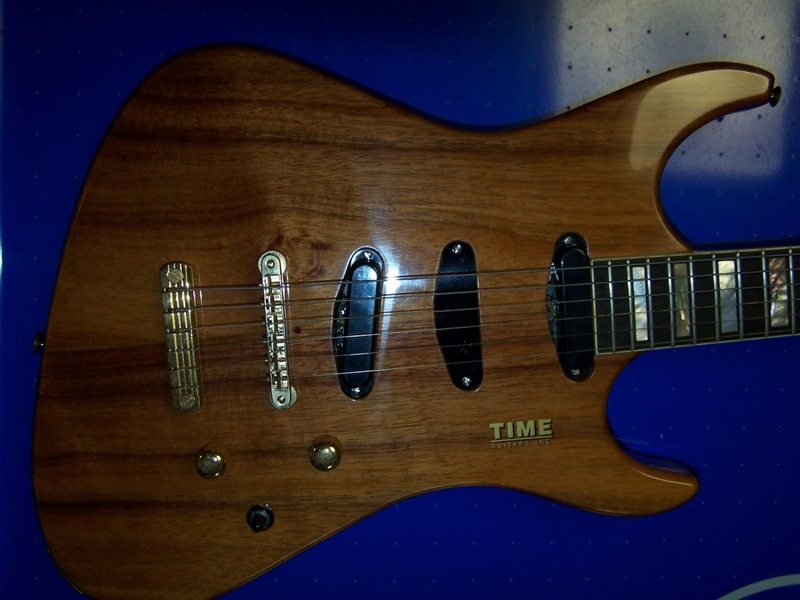 The neck is more narrow than the standard Time, more like a Gibson Firebird. No big surprise there! The center pickup is a dummy. Johnny requested a Stratocaster like guitar sound, but never liked the center pickup. It got in the way. 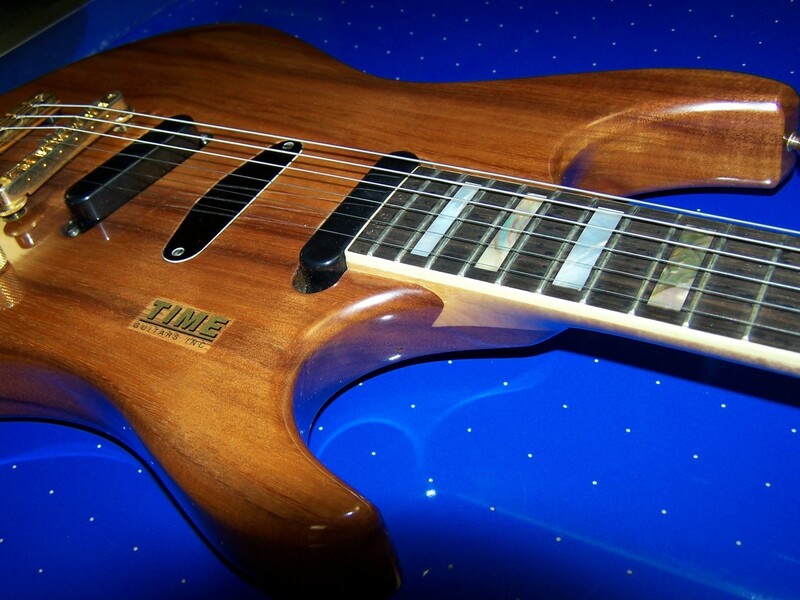 This guitar is exquisite! This is the only Advance Time I can think of with the full blown Artist trim. I recently saw the Willis Collection and will be providing more details soon. The big deal here is that many guitars survived the fire. I've been in shock the last few weeks. Thanks, I added the 'lyte' option for posting. It allows really big image links. I think you saw this one. This is the only one in the collection. That doesn't mean there wasn't a Black Walnut version. I just don't remember it. Most of these [ALL] guitars went out the door within hours of the final setup. I would like to see what's under that center pickup plate. The other two have the solid covers, I think there's something more than just plain single coils under them. 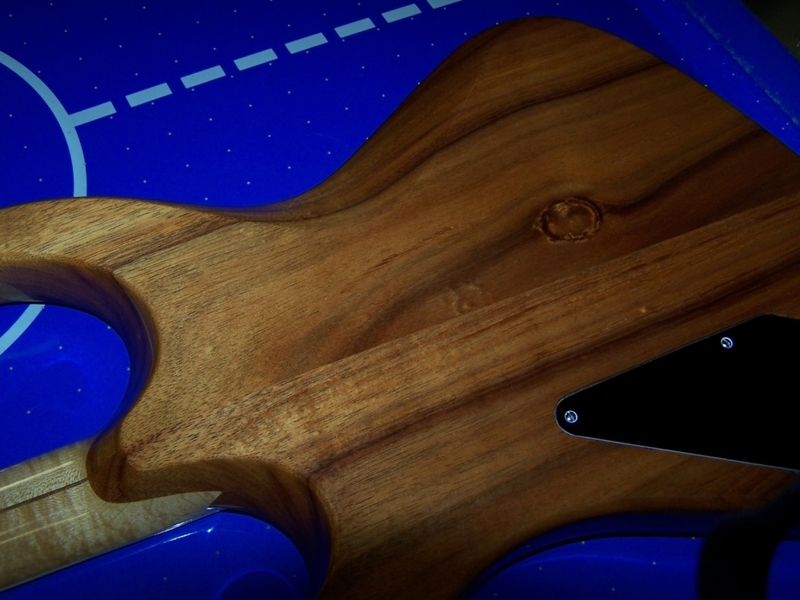 You know, Mad luthier / Franken' pickups! There has to be a reason for that center routing. 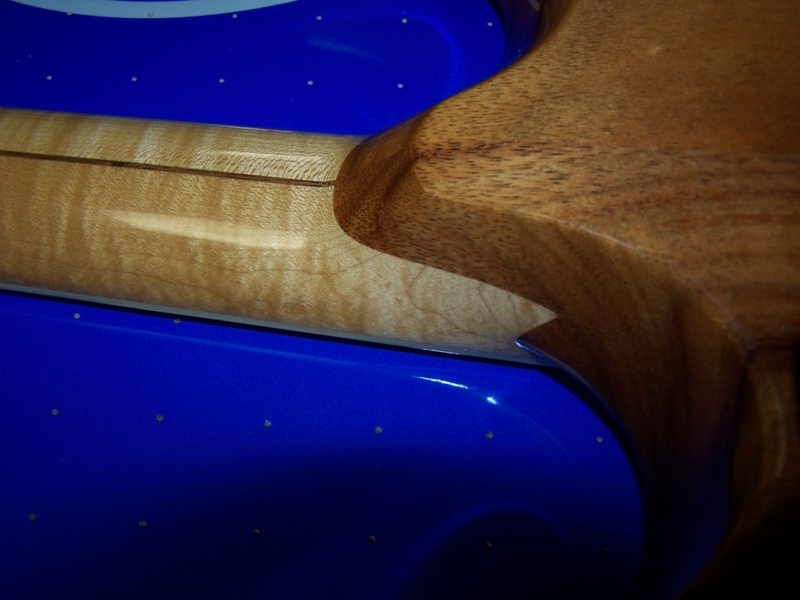 I've been down to see the guitars that are left, so I'm looking forward to see them finally get out a bit! 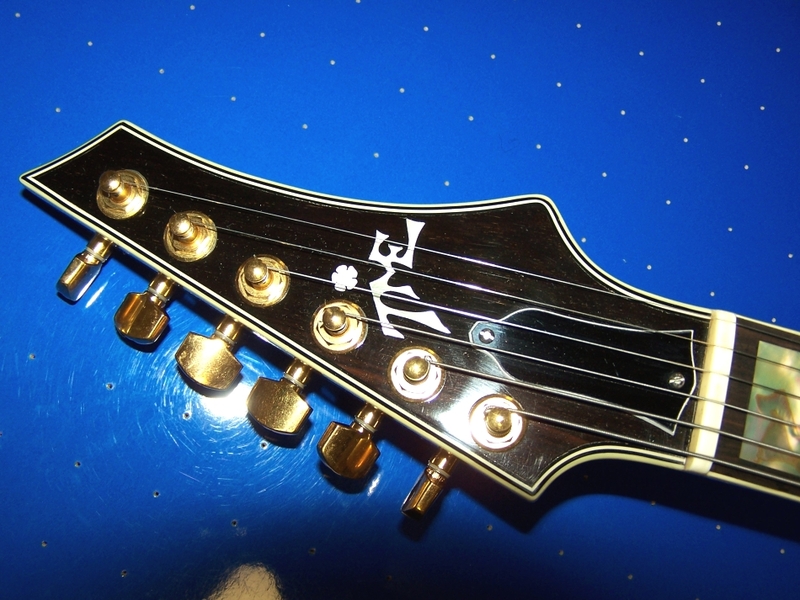 One thing about the Johnny Winter guitar - the action is really, really, high. Totally set up for that killer slide. Does he still have the flame guitar? 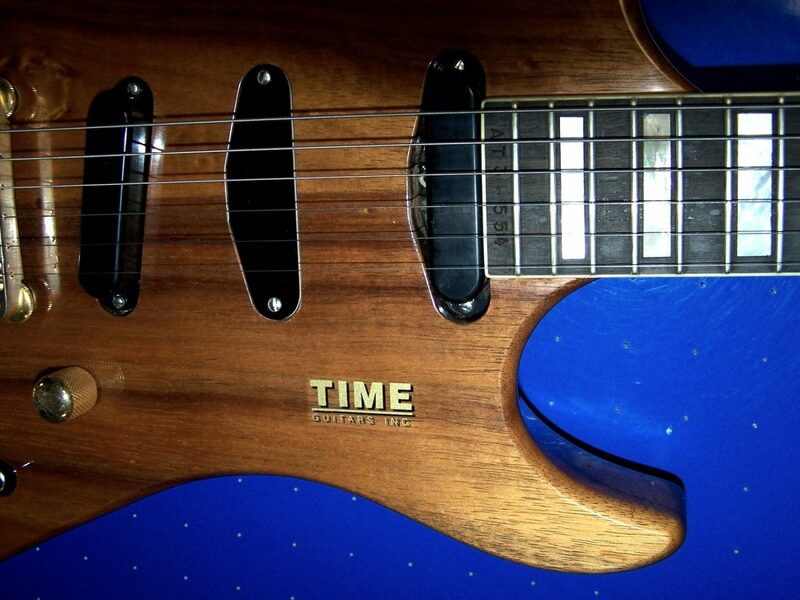 And the red and blue single humbucker Prime Times?